“Just when you think you can’t make it through the rain / The seasons change…”, when things get hard you persevere, and that’s exactly what McCreery has done. Scotty McCreery is back, with his most personal album yet. Working with renowned Nashville songwriters: James McNair, Tommy Cecil, Frank Rogers, Dan Isbell, Jason Gantt, Monty Criswell, Jessi Alexander, Jonathan Singleton, Aaron Eshuis, Philip White, and David Lee Murphy; McCreery co-wrote all 11 songs on his third record Seasons Change. Since winning the tenth season of American Idol in 2011, McCreery has grown and experienced some monumental changes in his life: “I’ve moved out on my own, went to college for a couple years, made amazing memories with some great friends, was robbed at gun point, lost my grandfather, performed on stages around the world, dropped by one record label and picked up by another, wrote and released a book, and most importantly I proposed to the love of my life and we’re getting married later this year” says McCreery. Seasons Change is a powerful album. McCreery carries his own in each track with his distinctive voice. The title track is hopeful and a perfect introduction. Like the lyrics suggest “Just when you think you can’t make it through the rain / The seasons change…”, when things get hard you persevere, and that’s exactly what McCreery has done. The album has some very romantic songs, influenced by Scotty McCreery’s fiancé Gabi Dugal. “Wherever You Are”, “Wrong Again”, “Still”, and “Home In My Mind”, to name a few. But the most romantic song of all has to be, “This Is It”. McCreery wrote the ballad before proposing to Dugal. The song tells the story of his proposal and is sure to be a popular wedding song in 2018. Another standout song on the album is his first No. 1 song, “Five More Minutes”. It’s a very sentimental and personal song that has resonated with fans. Written about the loss of McCreery’s grandfather, we all wish we could have more time with those we’ve lost. McCreery not only focuses on the theme of love but also nostalgia, home, and simply enjoying life. From “Boys From Back Home” an upbeat track reminiscing about good times with friends in North Carolina, “In Between”, a look at life in his early 20’s, to “Move It On Out” and “Barefootin” which have a distict summer care-free vibe to them. 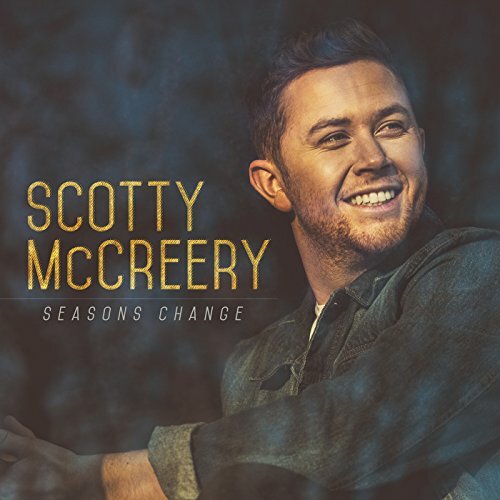 Scotty McCreery has grown as an artist and it is evident in this album. “This album is me”, he says and we have a feeling that people are going to love it and will be anxiously awaiting many more albums to come.